Variations for flat knit partial circles; also for poncho. 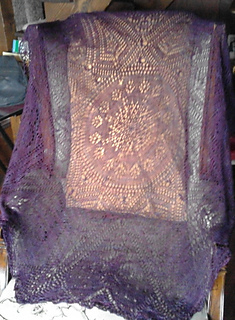 Sample used laceweight on 4.0 mm needles and used 1100 yards to produce a 64 inch diameter shawl. 2nd of the patterns designed after a photo of an abandoned castle in Italy.